The issue of women serving in the IDF has been a hot one for a long time. Back in the days of the Chazon Ish it was a hot topic and one that caused much friction and tension. After the agreement back then it went quiet for a while, but not it has gotten hot again as more and more women choose to serve, as more and more combat units are integrated with females, and again as the method of exemption for religious female soldiers is revisited. The various rabbonim have pretty much all weighed in saying that women should not be drafted and not to combat units and about how bad such a thing would be from a religious perspective. While others disagree, I have no problem with rabbis stating their opinion on this matter. I consider it part of the job of a rabbi to weigh in on spiritual issues, even including the issues of the IDF. That does not mean the IDF or the government has to agree or listen, but I think they have the right to speak up and voice opinions and how they define the relevant halachot. That being said, Rav Aryeh Stern, Chief Rabbi of Jerusalem, just spoke up about the issue informing the Chief of Staff that integrating women into combat units is not just a religious issue but would also harm the fighting capabilities of the IDF (source: Srugim). I think Rabbi Stern has the right to, and even the obligation to, speak up about the various relevant religious issues involved with women fighting. I do not think it is his place to talk about the professional capabilities of the IDF and the effect on those abilities by integrating women into mixed combat units. Leave the professional concerns to the relevant professionals. They know what does and does not harm or improve the fighting capabilities from a professional perspective. I think having the rabbis get involved in that part of the discussion only makes their relevant opinions and arguments (ie those regarding the halachic and religious issues) less effective. That this government has lasted as long as it has seems to be an open miracle. The government goes from crisis to crisis, from threat to topple to threat to topple, from investigation to investigation. The shared fear of elections has kept them together, but at some point it has to unravel, or else the Prime Minister has to tell his partners that this type of functioning with regular threats to topple has to stop. The newest dispute over the new draft law seems pretty serious. The Haredi parties pushed to get it approved quickly without any delay. At first they took their time and were drafting a law and working on the text with others. As the investigations close din on Netanyahu and increased the chances of the government falling, they decided they needed to speed this up and get it in before elections are possibly called and before new government comes n that might not be so Haredi-friendly. But the coalition partners are not playing along and don't want to be bullied into agreeing to something they don't agree with at such a level as mass exemptions from the draft. The Haredi parties are saying this was a coalition agreement and it has to be approved or else. Gafni already halted discussions about the budget and wont let the new budget votes happen until this is finalized. Now Litzman is threatening he wont vote with the coalition on the budget and he will collapse the government if necessary. Netanyau is generally a wizard at patching these things up. I can't wait to see how he resolves this. However, I do not understand how he is not so frustrated by it all already and doesn't do what he did last time with all the demands and just fire everyone and call for new elections. It must be because of his own problems and the uncertainty that goes along with it. Am Echad from Agudath Israel on Vimeo. A report came out complaining about an IDF ceremony in which at the end of the ceremony the religious soldiers sang the song "Ani Maamin" (after the Hatikva anthem had been concluded). 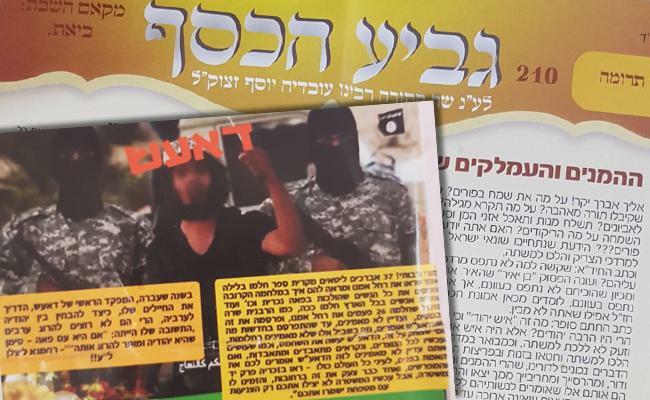 The report suggests some sort of religious coercion in the IDF while pointing to this singing of Ani Maamin as proof. Glick first responded to the report saying that there was no religious coercion. After Hatikva was finished the ceremony was over and the soldiers sang whatever else they wanted to sing. Anyone who does not want to sing along does not have to, but are soldiers not allowed to sing their preferred songs on their own time? Some responded, including Danny Dayan, that this cant be done at the end of official ceremonies and it isnt just some soldiers singing their own song but is a denigration to the national anthem and has become common in recent years to sing this after Hatikva. ואף על פי כן מי שרוצה לשיר שישיר מה הבעיה ?! Glick says " I don't get excited about this song, I don't connect to its words.. I don't connect to this custom of singing it after Hatikva. but still whoever wants to sing it, can sing it., what's the problem?" Glick is under fire for saying he does not connect to the words of this song. The words of the song are the words of one of the 13 main principles of faith, that being belief in the coming of mashiach. Glick has yet to respond. Tzohar announced the opening of a new kashrut certification under their umbrella. The Rabbanu tis very upset and is warning that if Tzohar goes through with it this will do a lot of damage to the state religious services and to the Rabbanut specifically. I don't get why they are so nervous and why they think this will cause them so much damage. I might or might not rely on this new hechsher. I might or might not rely on the Rabbanut hechsher. You might or might nor rely on this or that hechsher. The fact is that there are already a dozen or more private hechshers functioning at very high levels with holdings in significant portions of the food marketplace. What is the big deal that one more is opening up? Why is one more so damaging? Some people will rely on it, and some people will not, just like every other hechsher in the country including the Rabbanut and including every single Badatz. is Lebanon experiencing the beginning of the Ten Plagues? This is the Bardawni River in Lebanon that went blood red. Sadly, Craig, a gentile, is intermarried with Rachel Weisz, a Jewess. However, as to the headline, any and every Jew knows this struggle..
Purim is a dangerous time. Not just because of all the drunks on the road (whether by car or by foot), but also because of firecrackers and other dangerous materials. In Israel firecrackers and other such paraphernalia is popular among the kids on Purim. In recent years there have been campaigns against it, considering how dangerous they are, and the numbers seem to have gone down drastically, but they still get sold all over and there are still kids buying these things, and you can often hear the explosions around town in the days leading up to Purim, until shortly after. And sadly we hear in the news every now and then about bad accidents as a result with kids losing fingers or eyes to these things. Rav Dovid Yosef announced a psak that it is a mitzva for people to report to the police when they know of someone selling firecrackers. Rav Yosef says these are a terrible danger - it can cause tragedies to pregnant women or to other people getting frightened from the firecrackers exploding nearby, in addition to hearing every year about people who lost fingers or became blind from them, without even getting itno a discussion of damage caused to private property. Rav Yosef said because of the danger one is not allowed to sell them, but we can't go burn down such a store that does. We must first warn him to stop and if he continues to sell we must report him to the police. In Stamford Hill in London they do not want you to use your wife as your designated driver on Purim. Either find someone else, or don't drink. Stamford Hill is a largely hassidic community in London, so it is not surprising they don't want the women to drive. They simply are not making Purim an exception despite knowing that many of the men will be consuming too much alcohol and will be unable to drive. 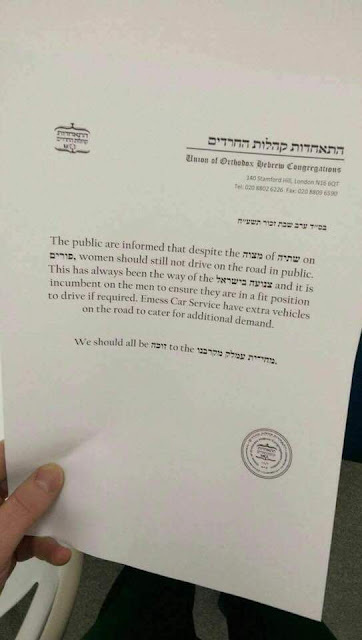 What about tzniyus says a woman cannot drive? 1. Being the driver means having to wear an across the chest seatbelt, and such a strap accentuates the woman's breasts, making it not tzanua. I am not sure why I have never heard that women should not sit in the passengers seat, as that also has such a seatbelt. In modern cars seatbelts in the back seats are no longer across the lap but also across the chest, so maybe women should not even get rides in cars. 2. Women should not be outside in a position of power as a driver. This is some sort of application of Kol Kvoda bas melech pnima. A further explanation of this is that it gives women inappropriate freedom in mobility. The joke is obviously that women never drove back in the days of Moshe Rabbeinu or even in the days of Chazal, so they can't start driving nowadays.. If you are aware of other tzniyus reasons for a woman not to drive, post them in the comments. If you are not sure what wine you might want to drink at your Pesach sedder this year, you might want to consider some celebrity wine. Amare Stoudamire, the former basketball star that says he has Hebrew roots and moved to Israel bought a basketball team and played for them is now making Israeli wine as well. “It’s a blessing for me and my family to be able to produce such great wines from a land like the land of Israel, so we’re constantly counting our blessings for that,” Stoudemire told reporters at the Jewish National Fund House on the Upper East Side. Stoudemire, 35, said he had been in talks with the Israel Wine Producers Association for three years about making an Israeli wine and realized the opportunity when he relocated to the country in 2016 to play for the Israeli team Hapoel Jerusalem. He retired from basketball last year after helping lead Hapoel Jerusalem to the Israeli Basketball League Cup. “Once I moved to Israel, it was the perfect connection to meet with the vineyards and go to the tastings and figure out the different blends for each bottle,” said Stoudemire, a part-owner of Hapoel Jerusalem. Stoudemire played for the New York Knicks and Phoenix Suns among other teams in a 16-year NBA career. Although raised Christian, he began exploring a spiritual connection to Judaism on a trip to Israel in 2010. “I feel spiritually Jewish, culturally Jewish,” he said at the time. Stoudemire’s line includes two red wine blends and one Cabernet Sauvignon, all produced in limited quantity by the Tulip Winery on its vineyards in Kfar Tikva, in Israel’s north. The winery produced only 100 bottles of the high-end wine, Stoudemire Private Collection, with each bottle retailing at $244.99. It produced slightly larger quantities, 1,680 each, of the Stoudemire Reserve and Stoudemire Grand Reserve wines, which are retailing for $59.99 and $99.99, respectively. The kosher beverage giant Royal Wine Corp. is distributing the wines, which are currently only available for purchase in stores in New York and New Jersey. Stoudemire, who continues to speak about his connection to Israel, said he’s open to producing additional wines, but that he would not produce them outside the Jewish state. Making sure the wine was kosher was important to the basketball star. Stoudemire identifies with the Hebrew Israelites, African-Americans who believe they are connected to the biblical Israelites and adhere to some Jewish customs. “A kosher wine is always important for us because you can drink those during the High Holy Days,” he said. Bless his heart. In these days when you never know who is your friend and who is not, in these days of BDS boycotts and Internet shaming, it is nice to have someone like Amare use his pedestal and also put his money where his mouth is and support the Jewish State. These bottles are out of my price range and I doubt the local supermarket will be selling them at a reasonable price, but if you like a good expensive wine, give it a try. Mashgiach Rikudim coming to a wedding near you! Way back when, back in my misogynistic days of a yeshiv bochur, we used to joke about girls in seminary learn for the "MRS degree" and probably take courses in how to make cholent, cook chicken, do sponja, etc. That's what us stupid yeshiva bochurs used to joke about. The truth is the women learn a lot in seminary, and in some seminaries they might even be learning more than some of the boys in some yeshivas, and they definitely learn a lot more than the guys in most topics (including halacha, Neviim, Eretz Yisrael, etc) other than gemara! Anyways, a new course might soon be opening up in the seminaries, but it might just be in the more Israeli seminaries. In case you thought they do not get inculcated enough with lessons and guidelines about tzniyus, a letter-writer thinks the seminaries need to teach the young women how to dance in a tziyusdigge way. This woman thinks that the young women dancing at weddings, friends of the kalla, are dancing with dance moves that are not delicate, not refined. The writer says that she has recently seen dance moves enter our tzibbur - moves that are not refined and are not appropriate for a bas yisroel. Another problem she has is that sometimes additional small circles will open up of women dancing with just a few friends further away from the kalla. She says that this shows these women are dancing not to make the kalla happy but to enjoy themselves. She says the women should learn from the men dancing. Tghe men, she says, all focus their daning on the chosson and the dancing is very organized. 1. I want the job of being the mashgiach at these weddings. How does one apply? Rabbanut hashgocha on dancing would have the mashgiach only showing up once in a while. The mahsgiach might or might not dance along with the dancers, depending on if the mashgiach works for the Rabbanut but does not trust it himself (herself?) or if the mashgiach also trusts the Rabbanut. The Eida mashgiach will have the dancing end at 7pm, and of course wont participate. The only thing allowed by the Eida hashgocha will be a shuffle that includes feet never reaching a point of being further than 3cm apart. The Chabad hechsher will require the dancers to sing "yechi" at least once an hour, and maybe put on tefillin if they can expand to the mens side. The Chabad "hot Chanis" will have the most freedom of all the various groups. what other hashgochos would you describe? 5. Why is she looking at the mens side of the dancing to take example from? this seems very not tzanua to me. 7. as an old fogey by now, the extra circles on the side are often the only way we can participate. Sometimes the yeshiva guys are running in the circles so fast, and so uncoordinated with each group of two or three guys thinking they have the greatest idea to spice it up and doing their own thing and breaking up the circles every couple of minutes. the side circles are often the only way we slower people can participate, and our intention is still to celebrate with the chosson and kalla and their families. And the added dancing, even if not in the circle immediately surrounding the chosson is still adding to the simcha. האם זהו המקצוע החדש בשוק החתונות החרדי? משגיחת ריקודים. במכתב שהתפרסם באחד מכלי התקשורת החרדיים, פונה הכותבת אל מנהלי ומנהלות הסמינרים ומתריעה על מגמה מצערת, לדבריה, לפיה חברותיה של הכלה רוקדות ב'תנועות לא מעודנות'. לדברי המעוררת, "לאחרונה נכנסים לציבור שלנו תנועות לא מעודנות האמורות לא לאפיין בת ישראל ואני מאמינה שהבנות לא שמות לב לכך". אז מה היא מציעה? ללמד את הריקודים בסמינרים ובבתי הספר ושתהיה השגחה בחתונות. היא מוסיפה כי לדעתה מדובר בעניין חשוב "ששוה לשלם עליו למורות על מנת שיגיעו לחתונות לריקודים הראשונים ולריקודים אחרי המנה השניה". US to move its embassy to Jerusalem in May! US officials have announced that the US will "move" the embassy from Tel Aviv to Jerusalem in May to coincide with Israel's 70th anniversary celebrations. This May they will move the embassy by repurposing the current consulate in the Arnona neighborhood of Jerusalem to function as the embassy. The employees of the consulate will become employees of the embassy, and the Ambassador with a small team will work out of this embassy. 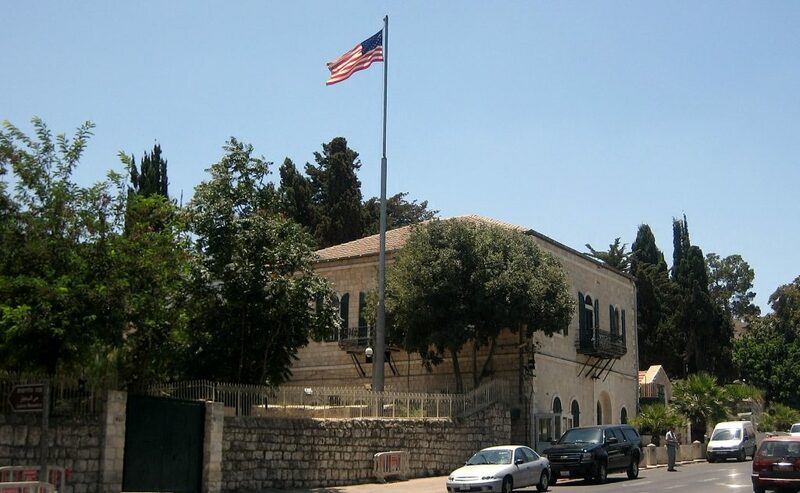 The current embassy in Tel Aviv will become a consulate though most activities will continue to function out of this location as they have until now. All this will happen while they plan and build a new embassy building in Jerusalem that will be planned to be open and functioning before the end of next year. And, Israel's Foreign Ministry officials have announced that Israel is in talks with 10 more countries to move their embassies to Jerusalem as well. According to INN, Temple Organizations", whatever that means, have minted a new half shekel coin, consisting of 9.5 grams of silver. On one side of the coin is a picture of the temle and the words half shekel. On the other side of the coin is the face of Donald Trump alongside that of Cyrus, King of Persia that facilitated the rebuilding of the Temple, with the inscription "Cyrus - Balfour - Trump - Declaration 2018". I don't know why they did not also include the image of Lord Balfour on the coin. The design of the new coin is in gratitude for Trump's declaration of support for Israel and for his recognition of Israeli sovereignty over Jerusalem. They add that it is also a warning, or reminder, to Trump what might happen if his approach changes, as Cyrus fell after 3 years because he gave in to pressure and halted the rebuilding of the Temple, and Britain went back on the Balfour Declaration and eventually lost its status as superpower. I wonder if the coin will be usable for buying train tickets at the soon to be constructed Trump Train Station in Jerusalem's Old City. We are living in historic, and funny, times. If the USA could appoint a Haredi woman, Ruchi Freier, as a judge, Israel can appoint a Haredi woman as well. And Israel just did. After some speculation that it might happen, it finally has. 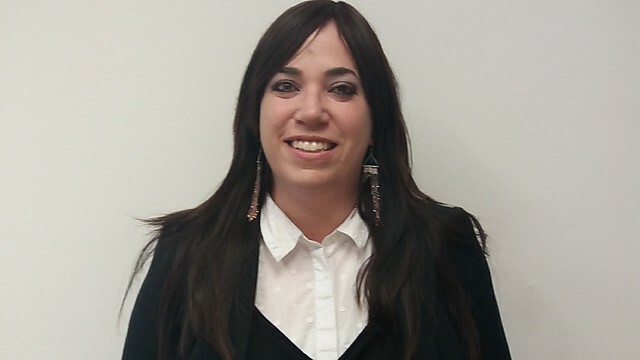 Chavi Tucker, a graduate of the Bais Yaakov school system and daughter in law of the Rosh Yeshiva of Yeshivas Chevron, has become the first female Haredi judge in the Israeli court system. Tucker's childrne are all in Haredi school systems and a son served in a Haredi unit in the IDF, so her bonafides all check out..
Good luck on the new position. Being the first means she is a trailblazer.May it lead to more and more integration, acceptance, and understanding. This dawn visit to the Western Wall I’m in the service area slipping cans of cat food under a trash bin when I hear a soft swish, and freeze. Rising from behind a dumpster is a woman, also religious, but, unlike me, elegantly clothed. She hoists a shush finger, then crooks it. I walk to where she beckons. From a leather satchel she hands me pouches of fancy food and pink plastic plates. In silent conspiracy, we cater breakfast for the cats of the Kotel. We rise from our crime to find a young policeman standing at military attention. I’m wondering if he’ll read us our Miranda rights or just demand don’t move hands up while he calls for reinforcements. The lady says pooof, dusts off her skirt, and converses easily with the cop, who replies quietly, his face working. They speak Hebrew with different natal cadences; I understand nothing. The policeman watches the woman shoulder her satchel and purse. He looks at us doe-eyed and says the only thing I get, which has no congruent English analogue, “All honor to you ladies. All honor to you.” The three of us walk off separately, each glancing back at the breakfasting cats of the Kotel. I’m so absorbed in my dawn encounter that I blab the whole tale to Jake, who lets the coffee in his cup get cold as he listens. At story’s end, it occurs to me that Jake probably thinks I’m nuts. I start to apologize for the nine yard yack when he shakes his head. Walking towards me with another woman is my partner in crime. Her friend is carrying on in interminable Russian; my partner is rolling one hand in an ellipsis (get on with it…). When she sees me, she winks. I tell Jake that is not normal behavior for a dog. He dumps his cold coffee. His eyes narrow. His look says, you know nothing about animals. יהודי ארהב from חרדים 10 on Vimeo. and I dont know how this guy is but he says nobody forgets..
Today's news has an announcement that the opening of new high speed rail line will be delayed by half a year in light of the issues recently raised of security flaws in the system. That is bad news in general, but the target date of Erev Pesach was considered unrealistically ambitious anyway. The good news is that it means the line won't be opened too early and lead to some sort of disastrous tragedy. 1. MK Yaakov Asher (UTJ) compared the delays due to safety and regulatory matters to the need to work on the rail lines on Shabbos to avoid delays. Asher finds it unacceptable that they will delay the new rail line just like that for 6 months due to regulatory issues but Shabbos isn't considered a valid reason to delay the line and take longer to build it. He does not seem to get that the people behind it don't care about Shabbos or about what he thinks about Shabbos. To them it is just another day of the week that they are waiving the right to not work in order to speed up the work on the line. 2. Behadrei's reporting on this calls it a "blow to the mechalelei shabbos". I am not sure why ti is more of a blow to the secular people who don't keep Shabbos than it is to religious people. All sorts of people, Jews and non-Jews, religious, secular and Haredi alike would have used this train and will be inconvenienced by its delay. The delay is a blow to everyone, and is good (from a safety perspective) for everyone. All the relevant players, the PM, the Minister of Work and Welfare, and the Committee For Shabbos Work Allowances, all approved and signed off on general permits for the football (aka soccer) leagues to continue playing the sport on Shabbos. The Haredi news media (sites and radio) are all abuzz about this, with accusations that the Haredi parties having closed their eyes to this chilul shabbos and have basically allowed it. Personally I see nothing wrong with them choosing to ignore this. They know the limits to their powers and that putting an end to the sport on Shabbos would be major and there would be serious blowback. The time is not ripe for this. You cannot do everything at one time. They are fighting too many fronts and this can wait until later. I would like to see the sport move its activities to a weekday, so religious people (athletes and fans and various workers) can participate and so fans are not compelled to chilul shabbos just to follow their favorite teams, but I guess the time for this is not now. There is also the issue of the status quo. The Haredi parties cant go fighting everything with claims of the status quo and then change the secular part of society breaching their side of the status quo. the newest talent show in Israel is Israel's Got Talent. This performance took place during the first episode of auditions.. I dont have an artistic bone in my body, so I have no understanding of why they dressed up like hassidim, considering they were not doing hassidic dance (or maybe they were and I just failed to see it i their rendition). I would guess it was just for the visual shock value. However, there were some interesting aspects to this, especially some of the things said by the various judges at the end of (and throughout) the performance. Currently the law says that anybody has the right to refuse to work on Shabbos for religious reason. The hole in this law is that if somebody secular wants to not work on Shabbos despite his boss insisting he work, he has no legal backing, as he cannot claim religion as his motivation for taking the day off. MKs Aliza Lavie (Yesh Atid) and Miki Zohar (Likud) have proposed a law that will allow anybody to refuse to work on Shabbos without having to declare religious reasons. The proposal has now been passed through the Knesset Finance Committee and is being prepare for its final readings in Knesset. This proposal basically gives people the choice, rather than forcing them to either work or not work, whether they want to or not. Somebody can stand up and say he does not want to work on Shabbos, whether he is generally religious or not or he can choose to work, but he cannot be forced. Bibi’s downfall: Is the most dangerous man in the Middle East done for? let's even ignore the drivel in the article itself and just stick to the headline... Bibi is the most dangerous man in the Middle East? Not Bashar Assad, presiding over a civil war in which hundreds of thousands of his citizens have been killed? Not Bashar Assad who has used chemical weapons against his people? not the president of Iran who threatens countries to be wiped off the map? Not any leader of Hamas that invests its money in weapons and tunnels rather than its improving the quality of life for Gazans? Not Hassan Nasrallah, a proxy for Iran, and one threatening to start a war on Israel's northern border? Israel recently passed its version of the Taylor Force Act when it passed the Bill To Offset Terrorist Salaries. The bill says that Israel will offset any monies for salaries paid by the PA to terrorists and their families from tax revenues they are meant to pass on to the Palestinian Authority. Funnily enough, the PA has condemnded this new bill with a statement calling this piracy and theft and another crime against the Palestinian people. That's right. They take the moral high ground and demand that the money earmarked for terrorists be passed along with all the other money! How dare Israel deprive the poor terrorists of their hard-earned money! The next step will probably be to decide to use other PA monies for the terrorists and take these payments out of other budgets, such as hospitals, schools and playgrounds for children. They will then blame Israel for depriving the children of Palestine of schools and playgrounds and the Palestinian people of their health care. According to the Independent, a new clause in the funding contract between schools and the Department of Education is on the brink of causing a crisis. The relatively new clause says that a school cannot teach any views that are contrary to scientific or historical evidence. According to the article, Rabbis are concerned that they will not be able to teach issues such as age of the universe in the classic traditional sense of the world being less than 6000 years old as scientific evidence proves the world being billions of years old. Those working on this issue are saying that signing the new contract could be considered heresy. While nothing in the Torah excludes the possibility of the world being billions of years old, I don't think Jews should be obligated to teach that, as the traditional approach is also valid from a Torah perspective. I doubt they will agree to teach even the possibility of the world being billions of years old. How this will be resolved remains to be seen. I expect political clout will be used to have the clause removed. I have a hard time believing all Orthodox Jewish schools will forgo all that government funding. I wonder what the relevant Christian schools (the ones that also believe the universe is less than 6000 years old) teach and how they will deal with this issue. Will new high speed train be safe? The Ministry of Transportation recently announced the end of March, Erev Pesach, as the date for the opening of the first stage of the high speed rail between Jerusalem and Tel Aviv, with the new train being available to bring tens of thousands of people to Jerusalem for the holidays at very high speeds. truly a wonderful and optimistic announcement. Globes is reporting that experts are warning that the project is not even close to being ready and there is no way they will be able to safely operate the new line at the end of March - unless they speed up the work and in the process ignore important safety factors. You can get all the details of the various concerns in the Globes article, but the issues are truly concerning and one wonders how the MoT really expects to be ready, considering the issues raised by those experts. Hopefully the experts are just being overly cautious with their warnings, but hopefully there will not be a horrible tragedy when the train opens. The MoT response is that they are working very hard with all the relevant parties and authorities and are making great efforts to finish on time while ensuring passenger safety. Nobody really believed, from day 1, that the project would be finished on time. The agressive target date recently announced brought out more skepticism, but also made one wonder why pick such an early date if they are not even close to ready, suggesting that perhaps they are further along than expected. They now have about 5.5 weeks until the conductor is supposed to toot the first horn on that line, so it is coming down to the wire. I probably would not have been on any of those first few days of train rides anyway, just because I don't like to go to such events and attractions with big crowds, but now I will probably just stay away until it is clear that train route is safe. cute ad for Machon Lev. They've made some good ones.. this one did make me laugh.. 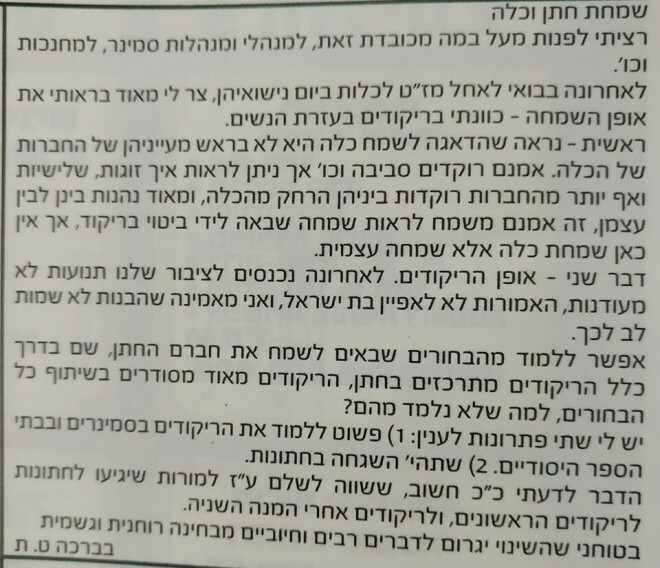 According to some tzniyus pamphlet distributed in Bnei Braq and other Haredi areas (surely it will be coming to Bet Shemesh soon, if it hasn't already) that has taken the fight against wigs to another, yet more extreme level. according to Kikar, the pamphlet describes how 37 avreichim in Kiryat Sefer all had the same dream on the same night in which they all saw Rachel Imeinu showing them that in the upcoming war all women wearing sheitels will be slaughtered. Tens more people around the country had this dream as well. Further, the pamphlet says, in the past year the chief commander of ISIS instructed his soldiers how to differentiate between Jewish women and Muslim women, so as to be able to avoid killing Muslim women, to check the hair and if it is a wig she must be a Jewish woman and be slaughtered. Besides for the extremist crazies cozying up with ISIS, I am not sure what they are trying to prove - that ISIS says the way to identify a Jewish woman is by her wig? That would mean that Jewish women wear wigs and it is normal! Just because ISIS identifies Jews like that and does not like it, means Jewish women should not wear wigs? Maybe Jewish women in ISIS-controlled territories should not wear wigs out of the danger to their lives presented by ISIS, but I do not see why the fact that ISIS wants to slaughter women with wigs should have any effect on what Jewish women wear. Also, ISIS does not want to slaughter Muslims? Besides for the fact that ISIS has been almost completely defeated and wiped out, more than 99.9% of the people they have slaughtered have been Muslims, so I highly doubt this little factoid published by the tzniyus crazies has even a kernel of truth to it. can one marry a wife with Bitcoin? A young couple decided to marry, after knowing each other for 4 years. And now they are divorcing. Mr has a managerial position in an investment house. Mrs is a senior bank employee. They decided to make a big fancy wedding, and Mr told Mrs that he would put a significant ("scary") amount in for the ketuba, and they agreed to use Bitcoin. They agreed on 30 Bitcoin, the value of which at the time came to 2 million NIS. At the time of the wedding, they all thought it was cute, as once camels and sheep were used and now it is Bitcoin. Now that they are getting divorced, she wants to claim her ketuba of 2 million shekels. Mr, on the other hand, says he is fine with paying her ketuba, but wants to pay in the 30 Bitcoin he promised her, at today's value, which is much less. It seems from the brief story unclear exactly what is written in the ketuba. Mrs says that at the time of the wedding she told him to just write "bitcoin worth 2 million shekel". It seems like he write 30 bitcoin, value being 2 million shekel. Mrs also adds that being that he is an investment broker and she is a banker they are both aware of the issues with Bitcoin and they both agreed to consider bitcoin legitimate for this purpose. The dayanim now have to figure out what to do with this and how to settle the dispute. The easy way to settle the dispute, and the one preferred by beis din in most situations, is a compromise, and I would guess that's how this will end. The actual value should be dependant on what precisely is written in the ketuba. Currency always changes value, so if it just straight up says bitcoin, I would think it would be valued at current value.. Otherwise every divorce (not using the shekel currency or without usng the standard ashkenazi text) would have a dispute over exchange rates. In the meantime, it seems to me that marrying with bitcoin should be considered problematic, as it has no actual value and its value is just based on speculation. While perhaps a transaction can be done with bitcoin if a kinyan is made and both parties agree, marriage needs the kinyan of kessef, and bitcoin might not be considered such a kinyan. The beis din might have to decide this. This is a very interesting case and could become a serious precedent. The last update on the "tzniyus" signs in Bet Shemesh had the courts telling the mayor of Bet Shemesh, Moshe Abutbol, that he had to actively take down the signs and if he would not he would be fined and even arrested. The courts have now revisited the issue and have made further demands of Abutbol. The latest demands have him installing 7 cameras in the specific area of the signs. The cameras must be installed within a month. The city must also continue removing all the relevant signs and stickers and the graffiti all over the area.. And, the city must begin legal proceedings against all residents that are involved in hanging the signs. The public has been requesting cameras for a long time. Abutbol has been promising cameras for a long time. The city was given a budget for the installation of cameras a long time ago (as part of the national "city without violence" project), yet the city has failed to install cameras in this specific area (other area sin Bet Shemesh have been covered with security cameras). It is almost as if Abutbol wants to protect these residents from any legal repercussions. Financial and legal implications have been demanded by residents as well against the relevant people, rather than just removing signs that will immediately be reinstalled. Behadrei is reporting on a shiur given by the Rosh yeshiva of Yeshivat Chevron, Rav Mordechai Farbshtein, in Yeshivat Merkaz HaRav. It is noted that the last time the rosh yeshiva of Chevron Yeshiva gave shiur in Merkaz Harav was 50 years ago when Rav Yechezkal Sarna gave shiur and the Roshei Yeshiva of Merkaz HaRav were Rav Tzvi Yehuda Kook and Rav Avraham Shapira. I appreciate that the article does not describe this as a show of "achdut", or unity. I always dislike that term when used to describe two Jews with different kippot that do an activity together. I also appreciate that the visit was not described as "historic", as is often done in such situations. While I too applaud the invitation offered to Rav Farbshtein by Merkaz Harav and his acceptance and deliverance of the shiur, I do wonder when we will see reciprocity. Every now and again we find such occurrences of rebbes and rosh yeshivas of Haredi yeshivas or schools being invited to schools and yeshivas in other sectors, and that is wonderful and very open-minded of the hosting schools and yeshivas to expose their students to the Torah and teachings of other streams. I fail to recall such an invitation offered by a Haredi school or yeshiva to any rebbe or rosh yeshiva from other streams thus exposing its students to the teachings and Torah of others. Just like I want to see the Rosh Yeshiva of Chevron as a guest in Merkaz HaRav, I also want to see the Rosh Yeshiva of Merkaz HaRav, or Kerem BYavneh or Shaalavim or others invited to Chevron, or Mir, or Ponevezsh, or others. The Jewish Press has an interesting interview with Rav Heschel Shachter. There are 3 points in the interview that are interesting to me (people interested in the female rabbi issue might be interested in that one as well). There is a growing movement in Israel of frum Jews ascending Har Habyit after going to the mikveh. What’s your opinion on this movement?The Rabbanut said you’re not allowed to go on the Har Habayit. Now, the majority of the Jews in Eretz Yisrael are not shomrei mitzvos and are not really interested in what the Rabbanut says. In fact, they want to do away with the Rabbanut because it gives them problems – a kohen can’t marry a grushah, he can’t marry a mamzeres, he can’t intermarry, etc. In Bnei Brak and Meah Shearim, they also couldn’t care less what the Rabbanut says. So you’re left only with the Modern Orthodox, the Dati Leumi, and now they too are ignoring the Rabbanut by going on the Har Habayit. So the government will do away with the whole Rabbanut. What do you need it for? In Bnei Brak they don’t hold from them, in Meah Shearim they don’t hold from them, the overwhelming majority are secular, and the Dati Leumi are also not listening. How do you go on the Har Habayis? We’re going to be responsible for the demise of the Rabbanut. It will be a disaster. As bad as the situation is now, it’s going to be worse if there’s no Rabbanut. Haven’t you said in the past that one may, in theory, walk on certain parts of Har Habayis?Yes, but if the Rabbanut said you shouldn’t go, you have to listen to what they say. If they say a kula and you want to be machmir, gesunterheit. But to be meikel against them I think is not right. That is an interesting point he makes, and I don't dispute it (not that he needs me to agree or support his position). I would however suggest that if that logic works it raises an important question. If nobody is interested in the Rabbanut and nobody listens to the Rabbanut except for the Dati Leumi, and therefore they are obligated to follow the Rabbanut's decisions so the Rabbanut will not become completely pointless, why should we have a Rabbanut? According to Rav Schechter it is important to follow them in order to justify their existence, but really if the only people listening to the Rabbanut are one small sector of Israeli society, do we need a State body for this? Can we really justify the expense of the Rabbanut, let alone the need for the Rabbanut, if it is only just for the Dati Leumi community? Another, more minor, question might be that not everyone going up to Har Habayit is Dati Leumi. There is an increasing number of Haredim ascending. So, do only Dati Leumi ascenders need to follow the Rabbanut's dictates on this and not ascend while Haredi ascenders can ascend, or do Haredi ascenders also need to stop? Furthermore, if Haredi ascenders don't listen to the Rabbanut anyway regarding anything else, why should/would they listen to the Rabbanut about this? This is a minor question because the Haredi ascenders are a minority. Not long after Purim comes Pesach. Many people obsess over how much matzah they are supposed to eat at the Seder. Your definition of a kezayis, though, is rather smaller than what’s currently popular.I don’t know what’s popular. My father-in-law spent about two years by Rav Shimon Shkop rewriting the Shaarei Yosher. Rav Shkop asked the mashgiach from the Mir Yeshiva, Rav Yeruchom Levovitz, for a bachurwho had a nice style of Hebrew, so he sent my father-in-law. He was there about two years, so he ate the Seder by Rav Shimon Shkop. He said five boys ate a kezayis from one matza. That’s a pretty small kezayis. Didn’t you once say a kezayis is the size of the palm of one’s hand?Rav Chaim Volozhiner says that. So why do people think a kezayis is much larger than that?Exaggeration. They like to exaggerate about everything – l’hachmir and l’hakeil. Everybody exaggerates. 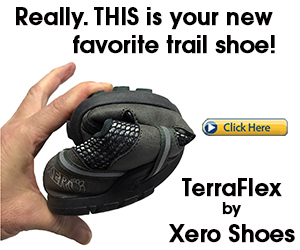 You are known as being in favor of wearing techeles nowadays. Why?It says in the Chumash that we should wear techeles. But people claim we don’t know what authentic techeles is anymore.Okay, but there’s a very strong possibility that the [techeles produced by Ptil Tekhelet in Israel] may be the correct techeles, so if there is a possibility, safek d’Orasia l’chumra.